Welcome to our Frequently Asked Questions section. This is where you can find answers to most frequent questions. What information do we need to apply for a trademark registration? 4.- If you wish to claim priority of a foreign application, indicate the number of said application, the country and the filing date. What documents do we need to apply for a trademark registration? If the applicant is a natural person the Power of Attorney shall consist in a private instrument signed by the applicant. If the applicant is a corporate entity the power must be signed by the authorized legal representative, consigning the status or title of the signor. 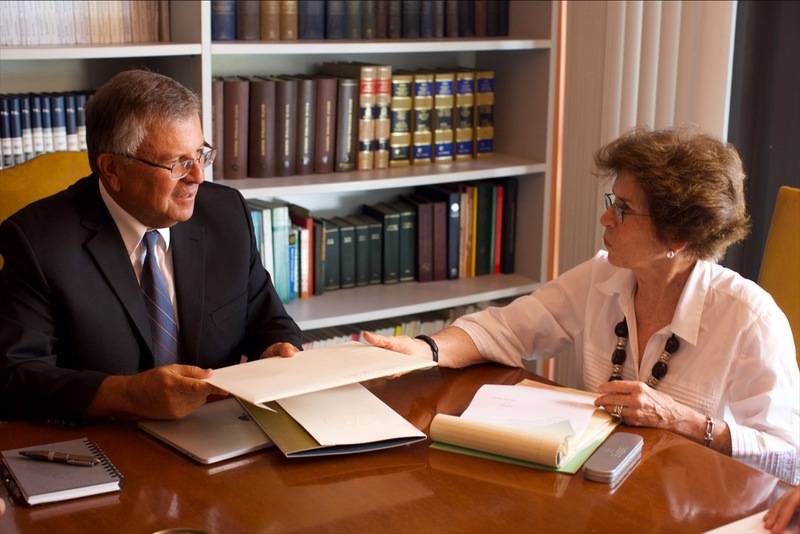 The Power of Attorney does not need to be notarized nor legalized. – Certified Copy of the trademark application previously filed in a foreign country, only if the applicant wishes to claim priority according to the Paris Convention, which must be duly translated into Spanish. What is the usual waiting term for obtaining the registration of a trademark in Peru? There is no determinate waiting term. If neither oppositions by third parties are filed against the trademark application nor observations by the Peruvian Trademark Office Examiner are made the waiting term to obtain a trademark registration usually lasts between 4 to 6 months. What is the term a trademark is in force in Peru? 10 years from the grant of the registration. Does the Peruvian Trademark Office (INDECOPI) accept multi-class trademarks? Yes, in Peru it is possible to file multi-class applications. This allows to obtain a single registration of the mark for several applied for classes. Is it possible to extend the list of goods and / or services covered by a trademark application or granted registration? It is not possible to extend the list. It is only allowed to restrict but not to extend the list of goods and/or services. If you want to cover more goods and / or services you must file a new application for registration. It is important to mention that the new list should not contain goods and / or services similar to those previously requested because the application would be classified as inappropriate due to duplicity. For what reasons the registration of a trademark may be refused? Due to similarity with a registered or previously applied for trademark. Because of lack of distinctiveness. And others, so it is advisable to do a feasibility examination and availability search before filing a trademark application. What documents are necessary to file a patent application or an industrial design application? For a patent application for an invention or utility model the technical document consists of the specification, claims, abstract and drawings (the latter only if necessary). For an application for registration of an industrial design a graphic or photographic representation of the design and description of the views is sufficient. – Certified copy of the previously filed patent application in a foreign country only if the applicant wishes to claim priority under the Paris Convention. – If the applicant is other than the inventor the assignment document evidencing the Transfer of Rights of the invention by the inventor to the applicant must be filed in Spanish. The document must be duly notarized and legalized up to the Peruvian consul (in some countries the apostille legalization is applicable). Is it necessary to have all the documents to submit the application to the Peruvian Trademark Office (INDECOPI)? It is not required to submit all the documents when filing the application. It is only necessary to file the technical document in Spanish. The Power of Attorney, the assignment document and the certified copy of the priority application may be filed later within the legal term. Can the translation of the technical document be submitted later to the filing of the application? No, It is not possible. The technical document translated into Spanish must be filed when filing the application. However, for your information, in case of not having the documents in Spanish we offer our translation service, to submit your application on time. What is the term of validity for an industrial design registration? For industrial design registrations the term is 10 years from the filing date of the application. Is it necessary to make a payment to keep an application in force? In Peru it is required to pay annual fees to maintain a patent application or granted patent in force, the annuity must be paid one year in advance. We remind you that the cost of annual fees may vary according to a table compiled by the Peruvian Trademark Office (INDECOPI). We recommend paying annuities promptly to avoid the additional payment within the grace period or worse risk that the patent application be considered abandoned. It is possible to file a patent application in national phase in Peru? Yes, it is possible. Peru is part of the Patent Cooperation Treaty (PCT) and its regulations, since June 6, 2009. The deadline for entry into the national phase is 30 months from the priority application date. Do I need additional documents to file an application in national phase? Yes, you need to file additional documents. Besides the required technical document, Power of Attorney and transference of rights of the inventor (assignment), you must file a translation into Spanish of the international application (specification, claims, abstract and drawings) as filed in the International Bureau, and in case there were modifications these must also be filed in Spanish. The technical document and the Spanish version of the international application, as amended, must be submitted at the beginning of the national phase application. How long will it take to get a patent for invention or utility model? If no objection to the application is raised the procedure lasts approximately 4 years, provided it meets the requirements of patentability (novelty, inventive level and industrial application) required by law. What is the term of validity of a patent? For patents the term is 20 years from the filing date of the application. For patents of utility models the term is 10 years from the filing date of the application. What information is necessary to file a patent application or an industrial design application? – Applicant details (name, address and nationality). – Information of the Inventor/designer (name, address and nationality). – If you wish to claim priority or not. – If you wish to claim priority of a foreign application you must consign the number of said application, country and filing date.